‘Wine! Because no great story started with someone eating a salad’. This idiom holds true for Shampa and Mathias. 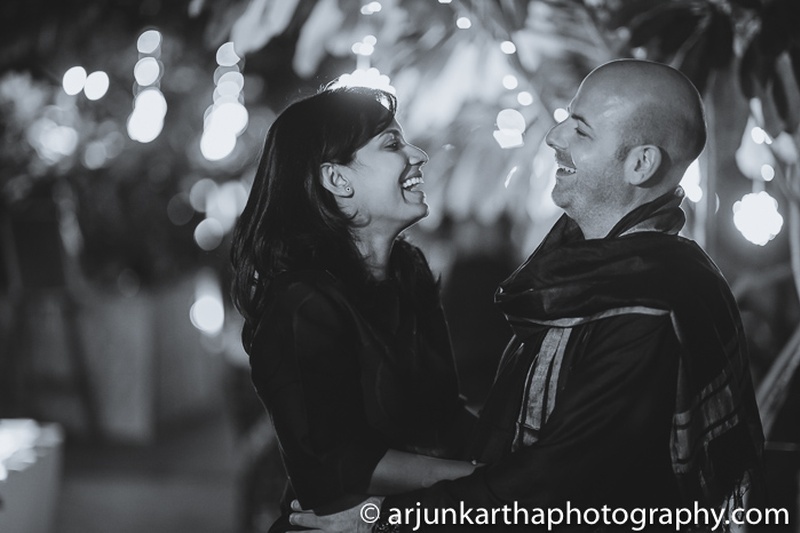 They met on a chilly Friday night at a bar in Frankfurt, Germany, through mutual friends – and there was an instant connection! They talked, laughed and talked some more, only to find out that they live on the same street! 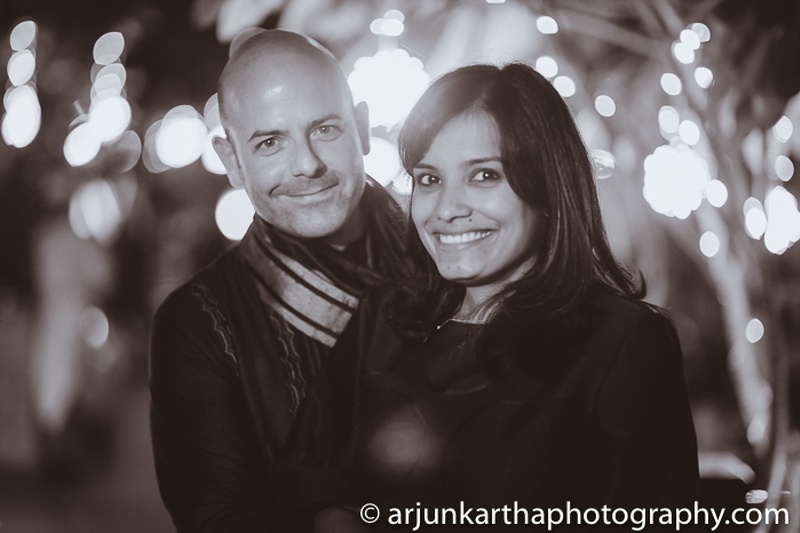 Shampa thought Mathias was pulling a fast one on her so that he could get a little extra alone time with her. But by the end of that conversation, Matthias’ charm worked and things just flowed from there! 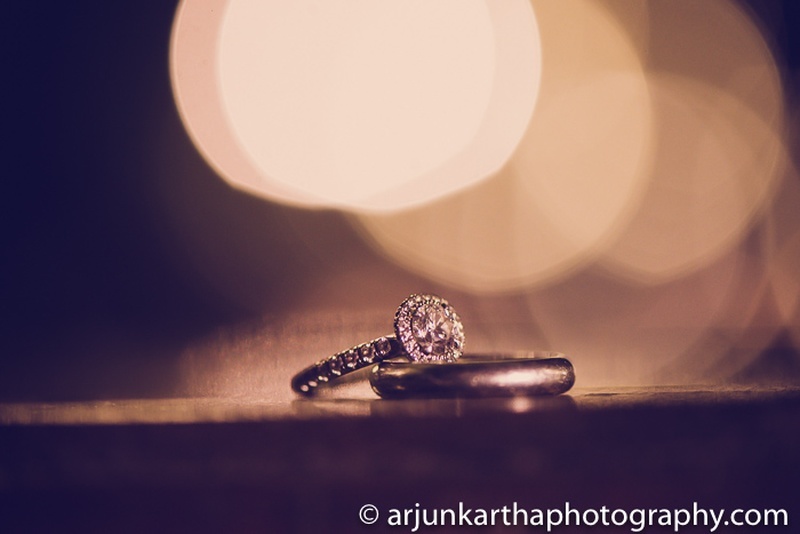 As time passed, they got to know each other more and more through hundreds of text messages and endless phone calls – talk about modern day love stories blooming, thanks to technology! 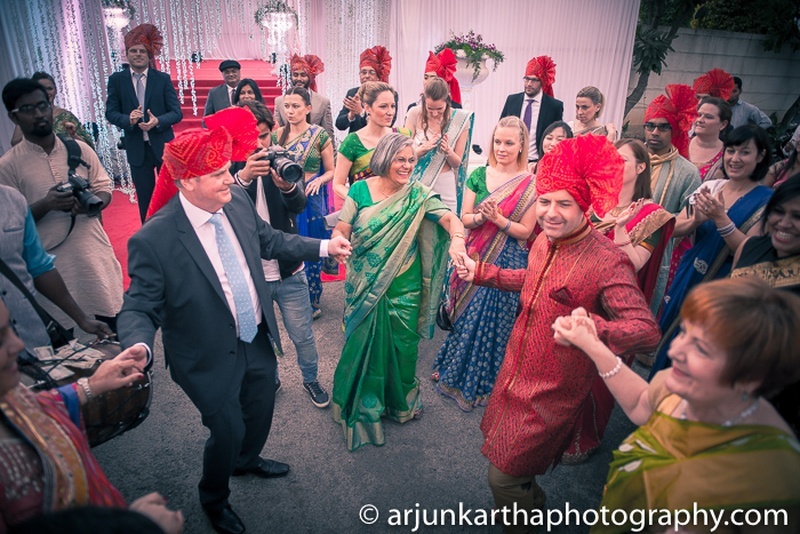 Around thirty of their friends from Germany came down to Pune for their true Bengali-style wedding. 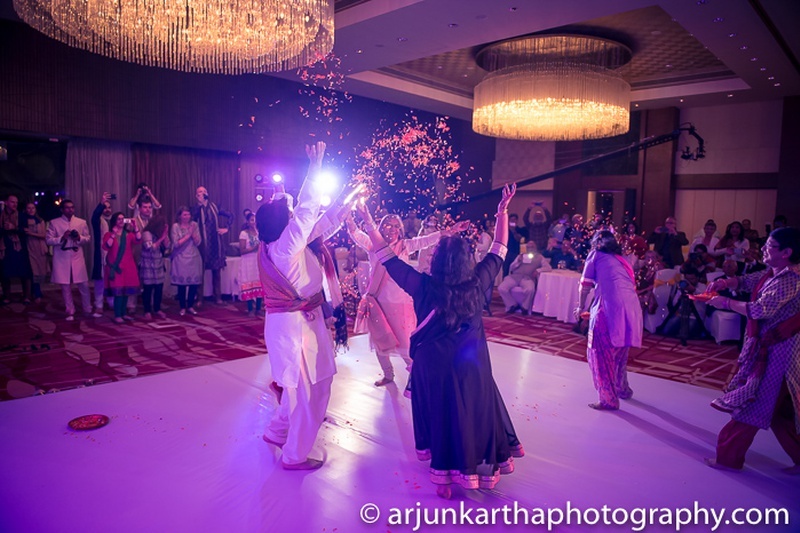 With excitement reaching new heights, each one of them was ecstatic to be a part of the festivities and learn dances moves to popular Bollywood songs for the Sangeet-Cocktail evening. 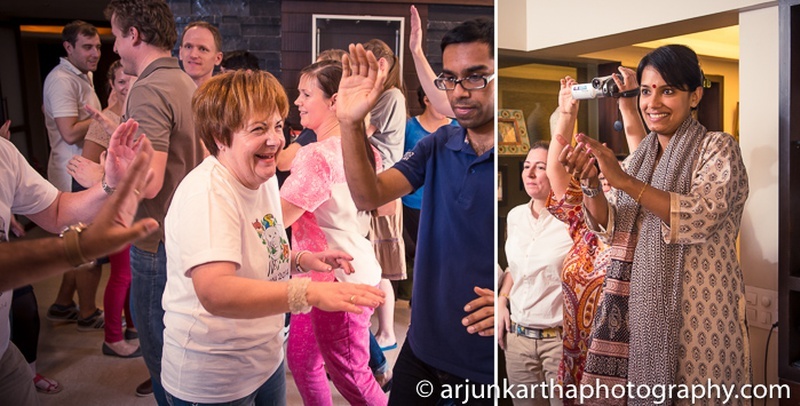 Hence, Day 1 began with an intimate welcome lunch and a round of dance practices, with all their German guests showing off their jhatkas and thumkas. 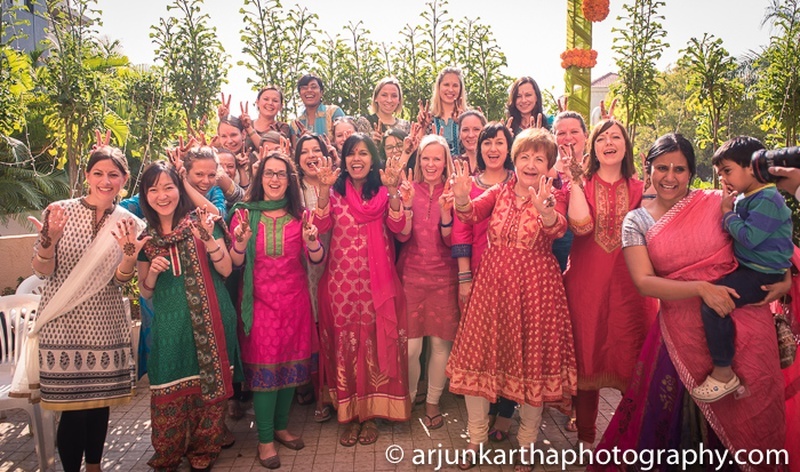 Apparently, when their German friends were asked whether they would like to learn a few desi dance moves, only a few of them were up for the challenge. But once they saw how much fun it could be, they got into the spirit and almost everybody was a part of at least one song, if not more! The evening was a relaxed cocktail held outdoors. 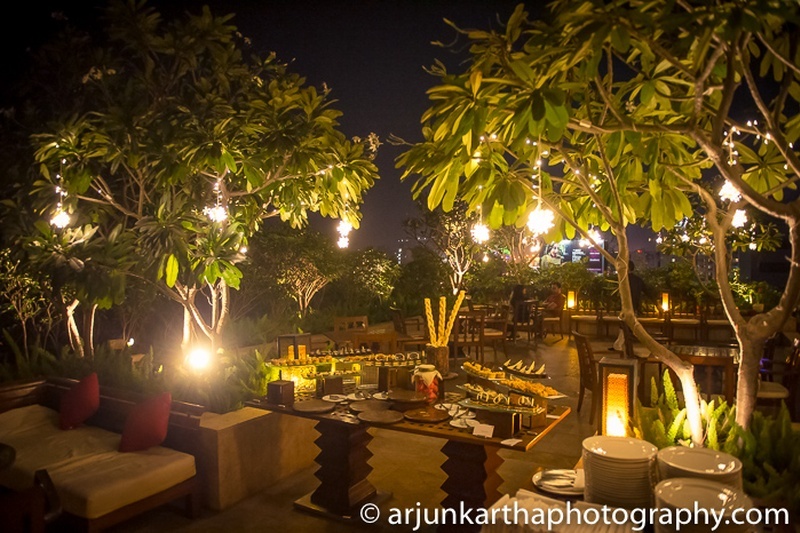 The entire space was lit up in hues of yellow with lamps set on each table and lush green trees strung with bunched fairy lights. They kept the Cocktail party intimate, allowing their friends and family to get to know each other better. 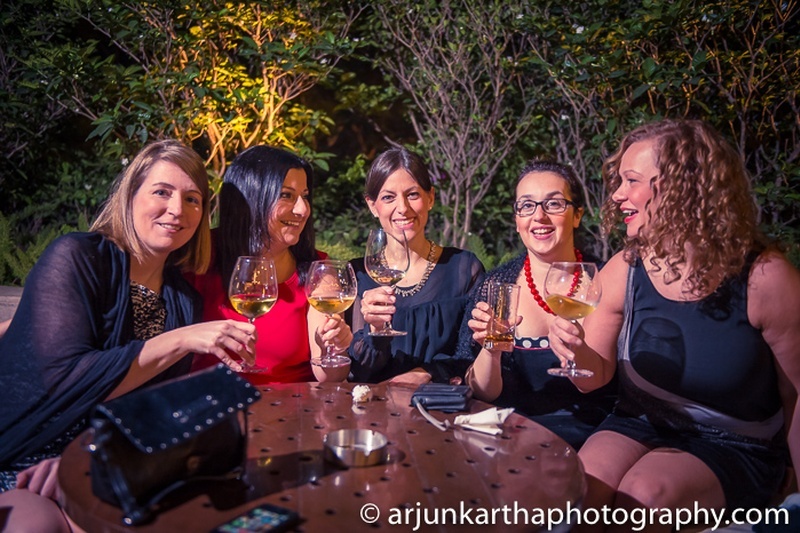 It was a leisurely evening with good wine, food and lots of conversations. 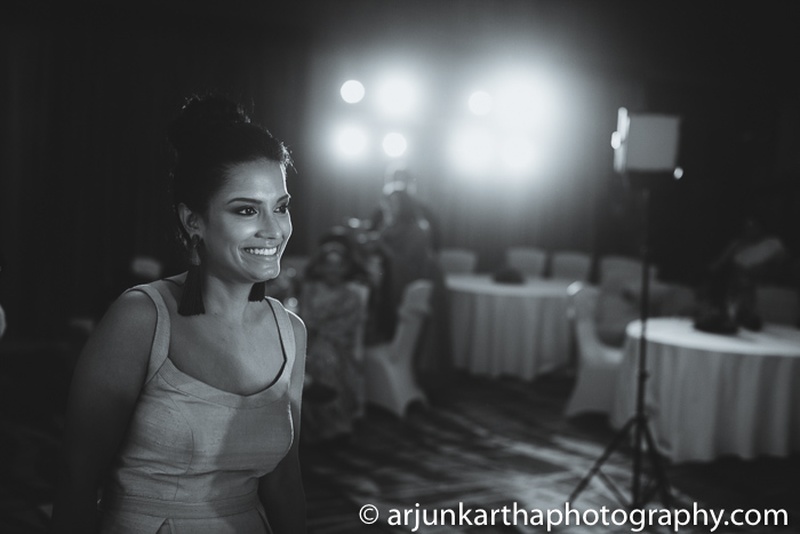 Post the classy cocktail party, it was time for the crazy-fun Sangeet held inside a banquet hall decorated with fresh flowers and focus lights in bright hues of purple. 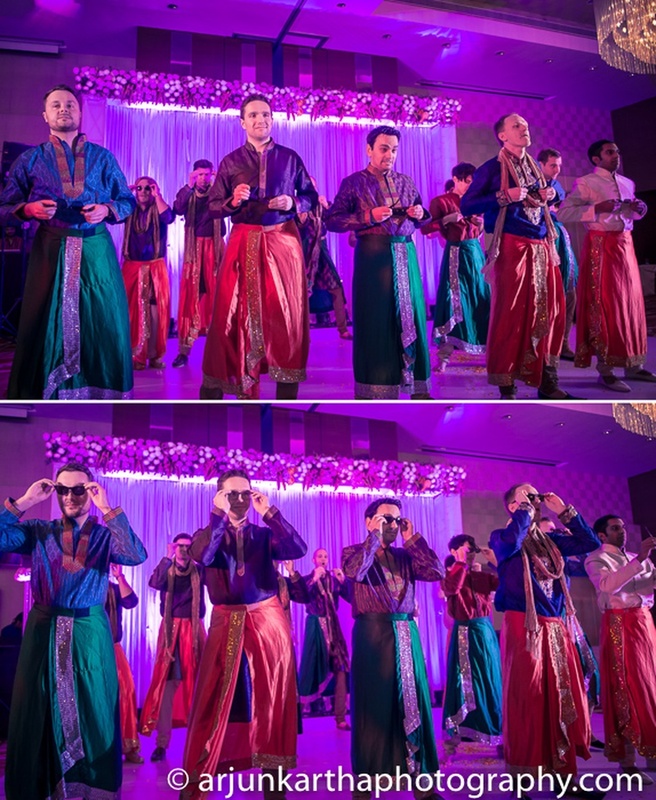 Bollywood beats took over and everyone grooved to the Lungi Dance with Kala Chashma, Lungi and all! 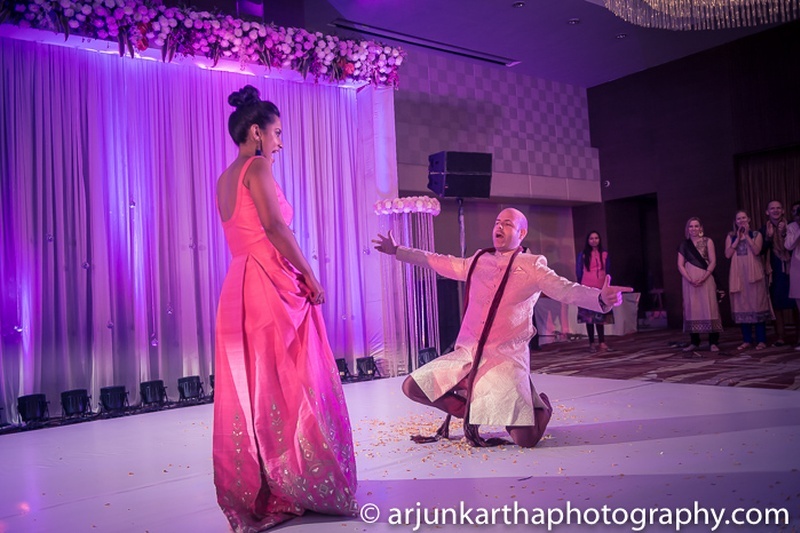 The sweetest moment was when Matthias got down on one knee, with his arms stretched out in complete Shah Rukh Khan style! That really upped the mush factor by 1000. 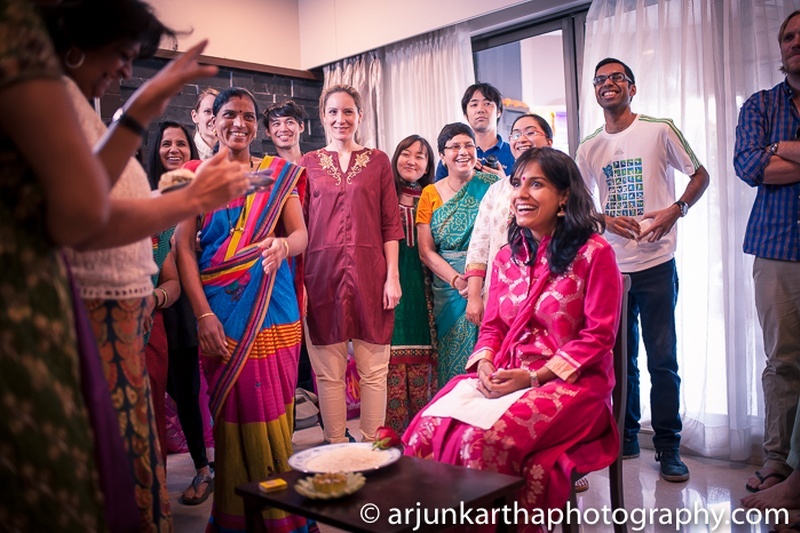 The next day brought with it some more dancing, celebrations and the mehendi ceremony for all the ladies while the men had some beer-and-biryani sessions at another location. 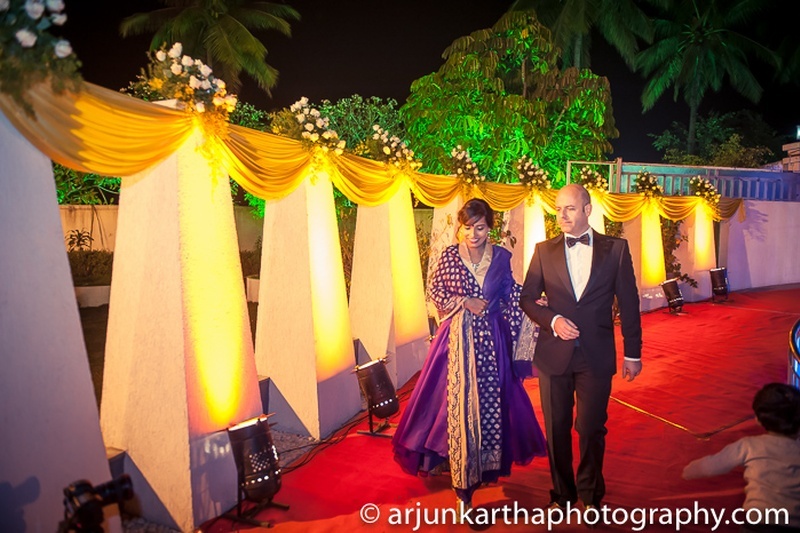 The mehendi was held in an open air space decorated with drapes in hues of pink, purple and green. Shampa donned a fuchsia pink salwar suit that had gorgeous gold weaves on it, looking absolutely ravishing! 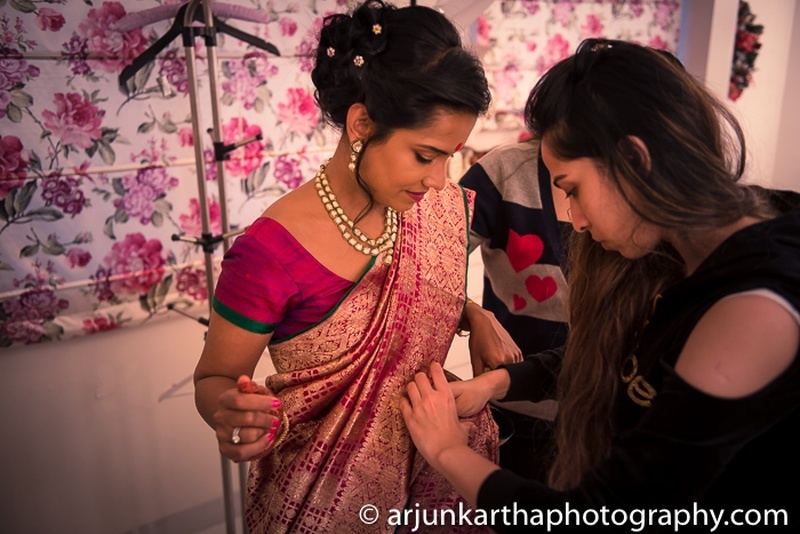 All the girls danced, sang and posed with intricate mehendi patterns all over their palms. 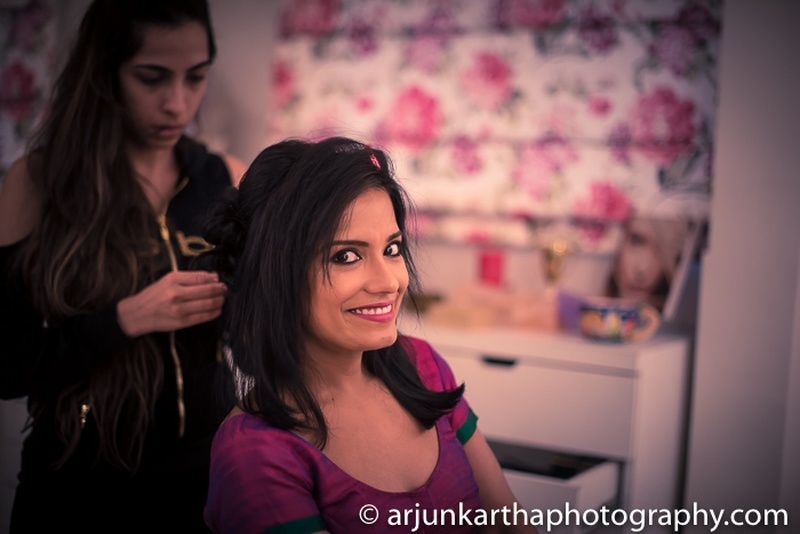 Aren’t all girls pictures a must at mehendi ceremonies? The more, the prettier! 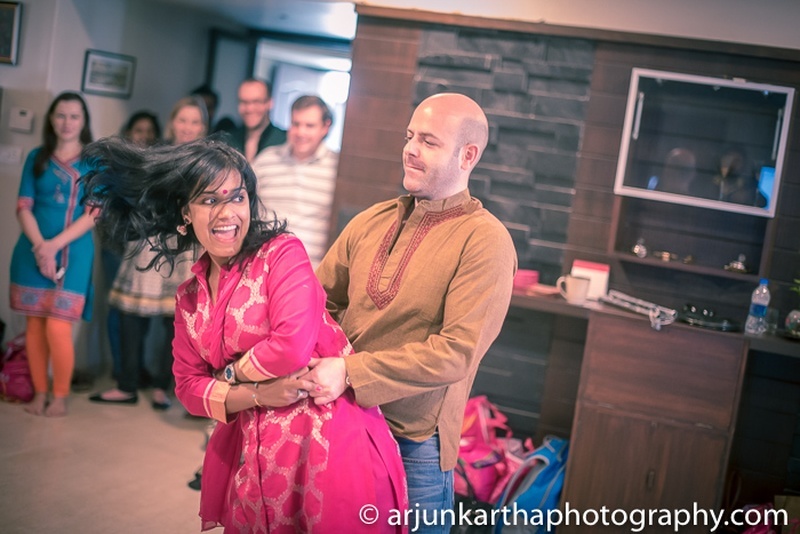 “Matthias was definitely the most enthusiastic dulha we have ever seen. 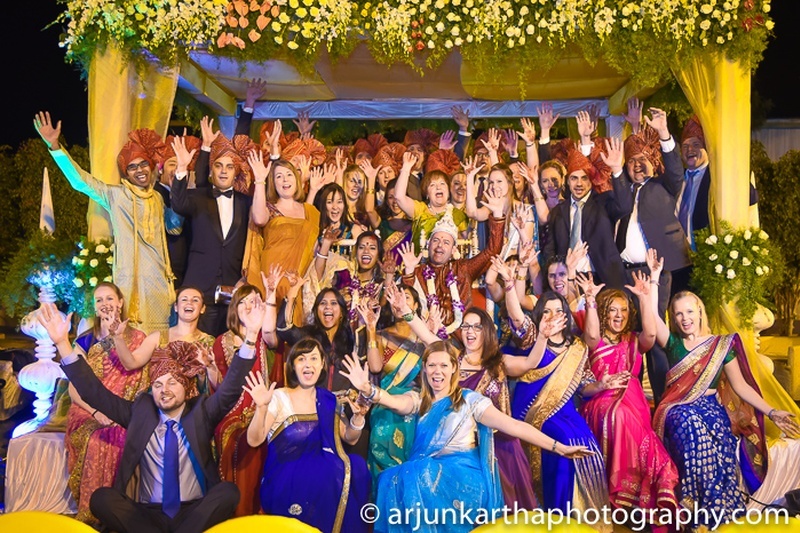 He was very excited to be seated on the ghodi and danced along with all the baraatis from his perch,” says the photographer from Arjun Kartha Photography. 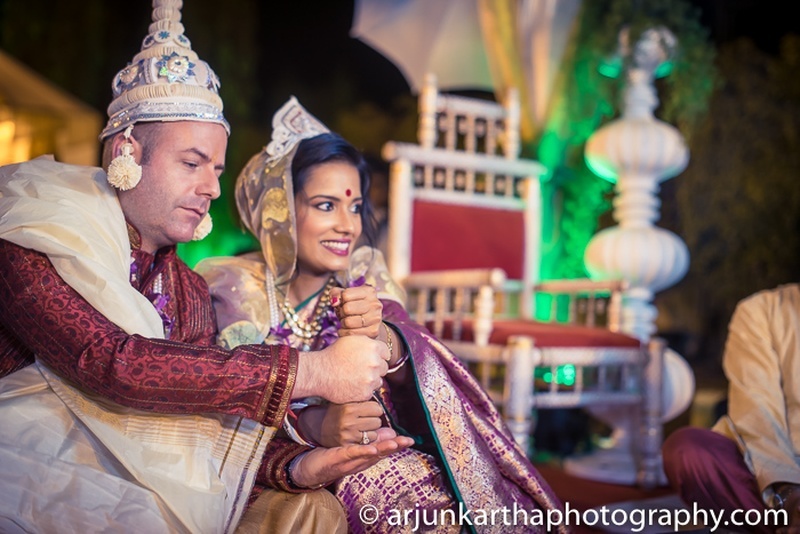 Their marriage was done completely in Bengali style. The couple donned traditional wedding attires with the sholawood topor! Matthias wore a regal combination of maroon and gold. 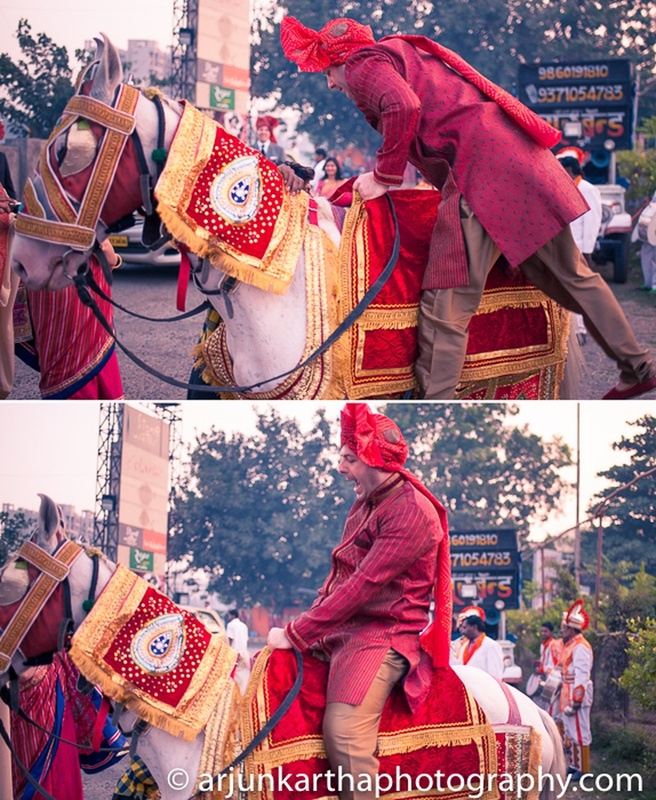 Stylishly embellished, his sherwani looked perfect with his simple gold dhoti. 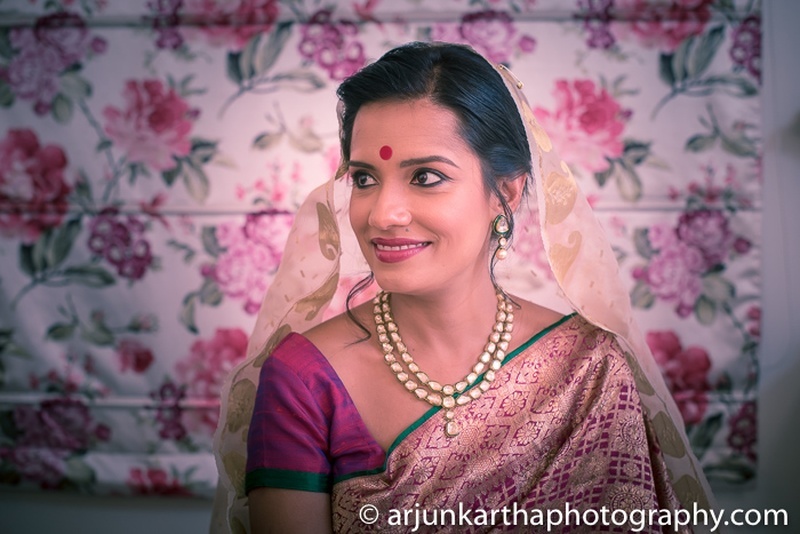 Shampa looked like a true bong beauty in her purple Banarsi silk saree. 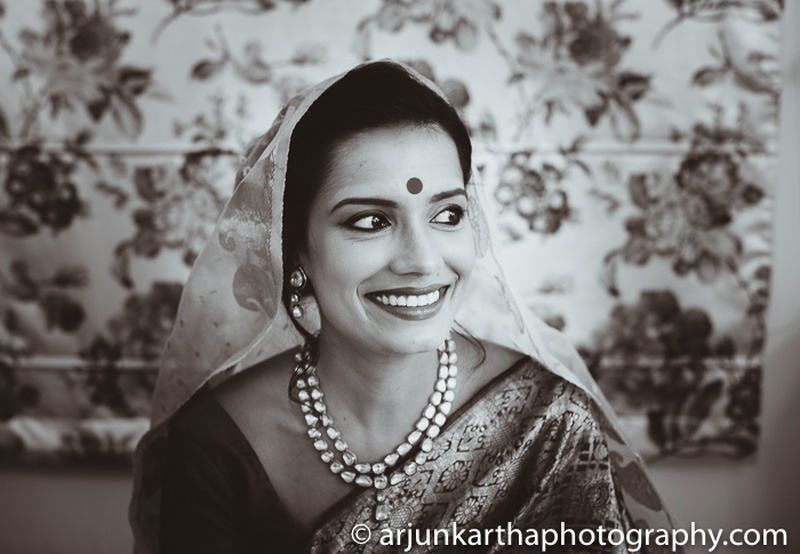 She opted to keep her jewellery minimal and wore an elegant two-strand polki necklace and matching earrings that had dainty white drop pearls. 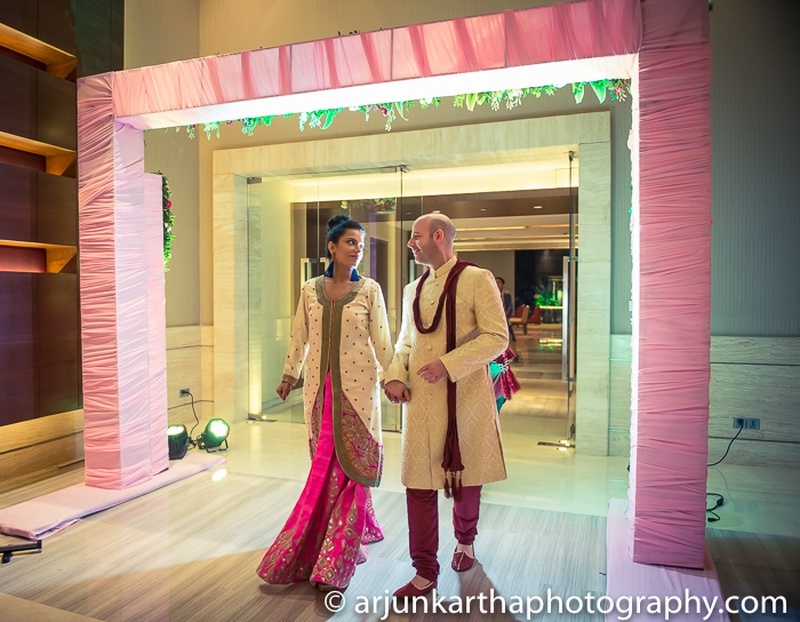 We absolutely loved every aspect of this Indo-German love affair. Their journey crossed a thousand miles, surpassed barriers of caste, creed and culture, proving yet again that love wins all over. Pretty palms and Happy faces! 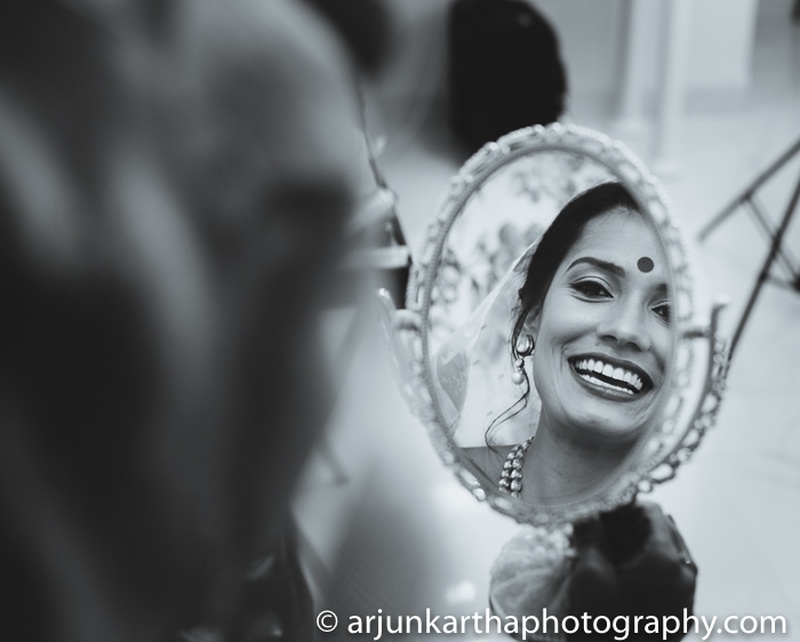 Mirror, Mirror on the wall, isn't she the happiest bride of all? !